Heidi Heckelbeck mixes up a magical cookie concoction in a new whimsically witchy adventure that’s perfect for beginning readers. 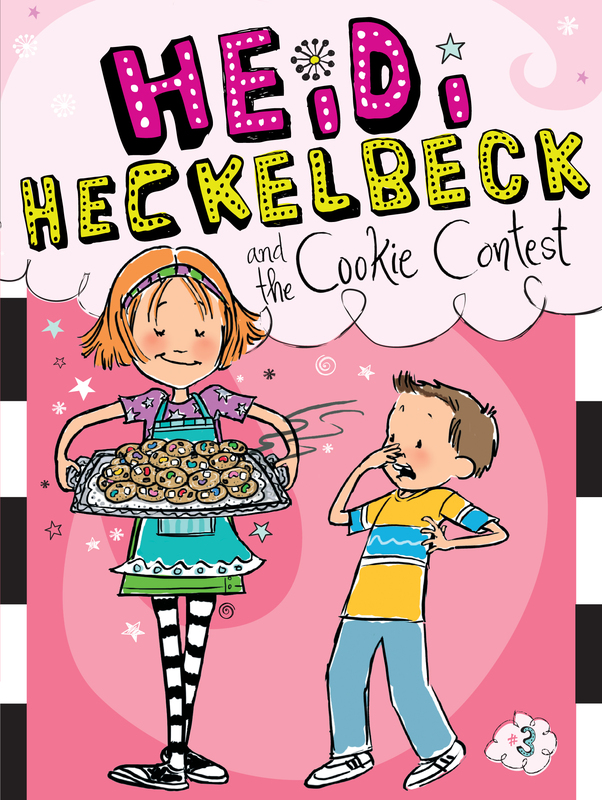 Heidi can’t wait to enter the famous Heckelbeck Chocolate Chunk Cookies in the annual cookie contest at Brewster Elementary. But when Melanie Maplethorpe laughs and says that Heidi’s cookies are “blah,” Heidi decides they could use a little magic. The result of Heidi’s revised recipe is sure to steal the show…but wait—what’s that strange smell? The Heidi Heckelbeck series is perfect for readers who want a “grown-up” format but are not quite ready for lengthy chapter books. With easy-to-read language and illustrations on almost every page, the Heidi Heckelbeck chapter books are perfect for beginning readers. Heidi Heckelbeck had cookies on her mind. She had just signed up for the Brewster Elementary cookie contest. Heidi had never entered a contest before. She wondered if she would win. She had won a raffle one time, but that had been super-easy. All she’d had to do was write her name on a strip of paper and stick it in a box with some other names. The prize had been a silver turtle necklace. Winning had been fun, and now, more than anything, Heidi wanted to win the school cookie contest. What kind of cookies should I make? wondered Heidi. She could make oatmeal raisin, but raisins were kind of squishy and gross. Peanut butter cookies were good, but not her favorite. How about chocolate chunk? Chocolate chunk would be a winner, thought Heidi. They were also her favorite. Heidi hopped onto a step stool and grabbed the family recipe box from the cupboard. She found the tab marked “Desserts” and thumbed through the recipes. “Aha!” said Heidi out loud. “Aha, what?” asked Heidi’s mom as she walked into the kitchen.